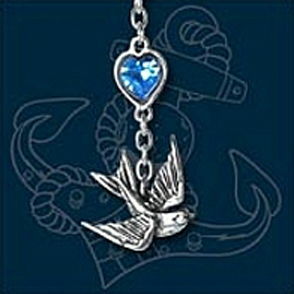 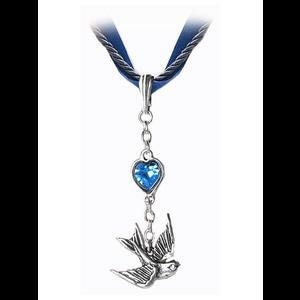 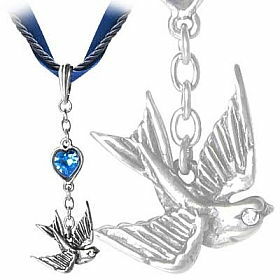 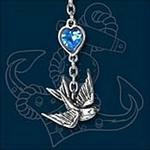 From the UL17 rock jewellery collection by Alchemy comes this pretty tattoo style necklace of a pewter swallow attached by a chain to a gorgeous sparkling blue Swarovski crystal set in a heart-shaped mount. 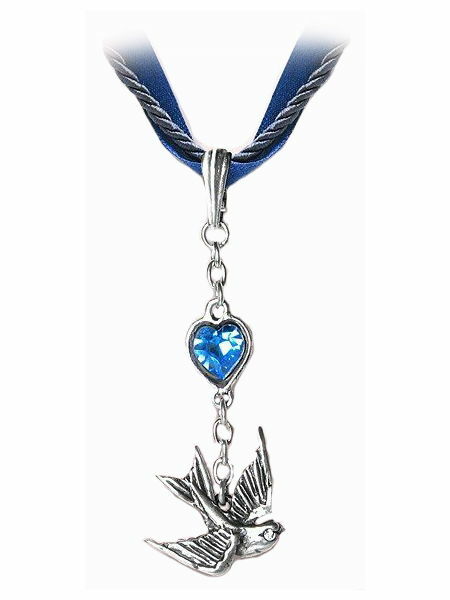 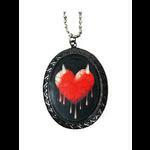 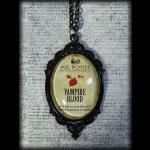 The pendant is threaded onto a navy blue soft cord and satin ribbon. 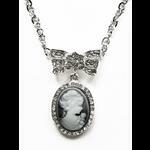 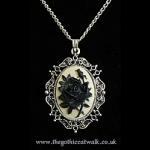 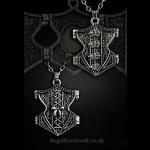 Two ornate end pieces finish the ribbon and the necklace is designed to be tied at the back.